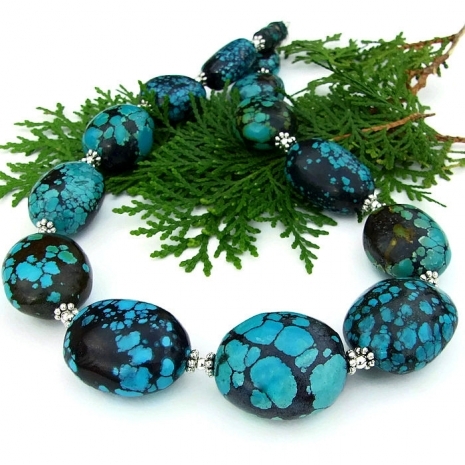 Turquoise is a color, in all its glorious shades from light to dark, that is greatly beloved by most people. It is a combination of blue with a small amount of yellow, fitting in the color scale between blue and green. 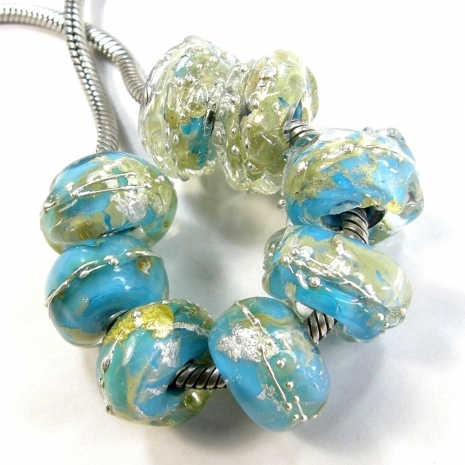 In color psychology, turquoise is used to heal the emotions, creating emotional balance and stability. 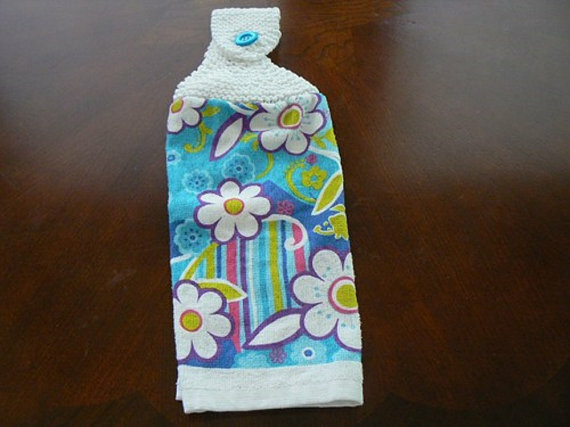 It seems to radiate peace, calm and tranquility coupled with an uplifting quality. Metaphysically, if it is a favorite color, you are said to be seeking spiritual fulfillment and are often seen as evolved or an “old” soul. All that being said, turquoise is my second favorite color, running very close to my favorite, red. Turquoises (and reds) dominate my clothing and jewelry. Am I “evolved?” Probably not but I have been told I have an “old soul” on several different occasions. I always take that as a compliment, believe me! 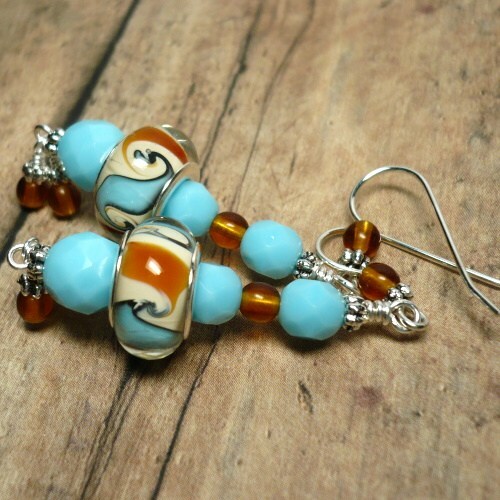 Since turquoise is a much loved color the world over, I decided to browse through the shops of very talented artist friends and share a wide range of handmade creations that use the color turquoise in the design. Many shades of turquoise are shown here, some that are mostly turquoise in color; some with turquoise as accents. If something catches your eye, please click on the live link below the photograph for more information. I hope you enjoy. I hope you enjoyed these exquisite turquoise colored selections! If you would like to make my day and the day of the artists featured, please leave a comment. And any promotion you can do will be greatly appreciated. Thanks! 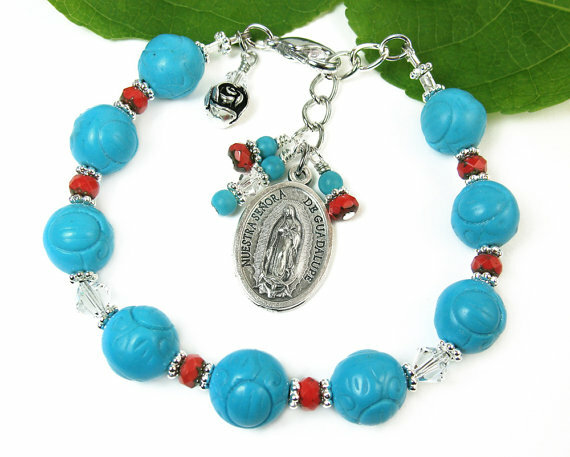 I love turquoise and red too! Thank you for including me in this wonderful post. Off to promote. The color true turquoise blue is such a unique color, yet pairs so well with other colors. 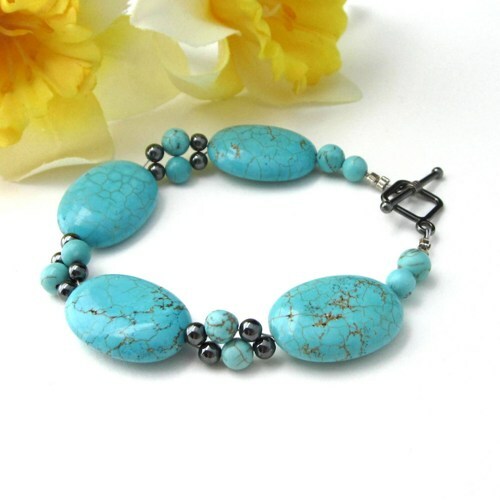 This is a lovely collection of true blue turquoise shades. 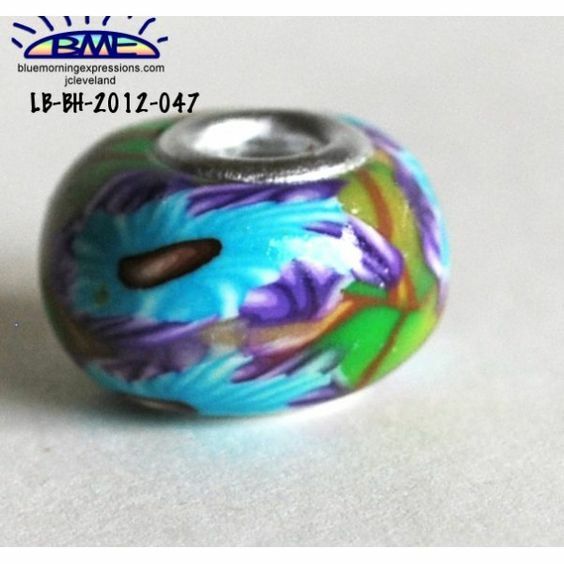 Thank you for including my lampwork earrings. Will share about the social media town! Really enjoyed this post, Catherine and Le Moosie! :) Gonze and I love turquoise too! 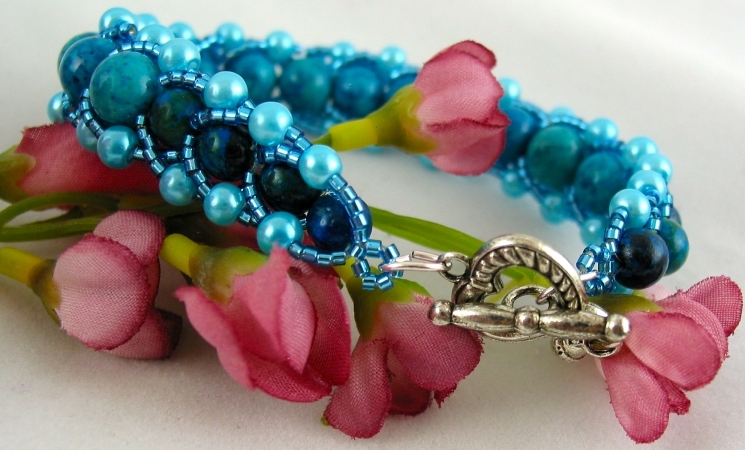 Thanks so much for including our chaplet bracelet. Will be sharing at the usual places! The pieces are each so unique and beautiful. 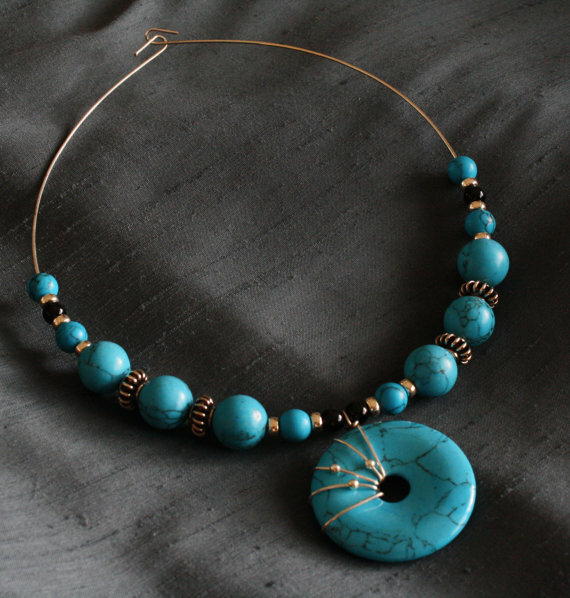 Turquoise is so versatile in designs. 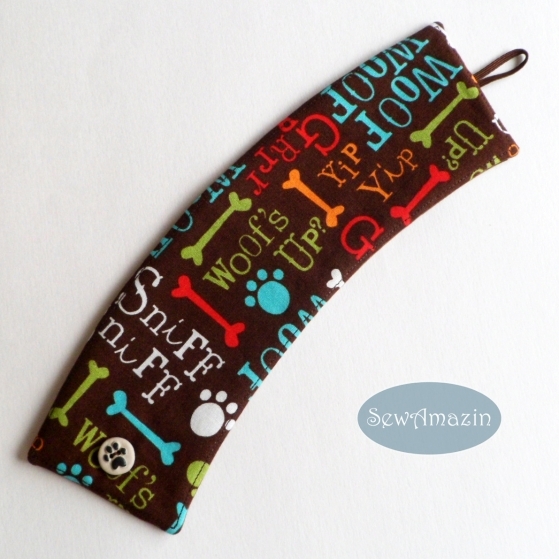 So many beautiful shades of turquoise for these lovely handmade items. Thank you so much, Catherine, for showing my bracelet! Shared..
Turquoise always looks great, in my opinion. Those are some great picks. Thanks for including my necklace. I will share it. 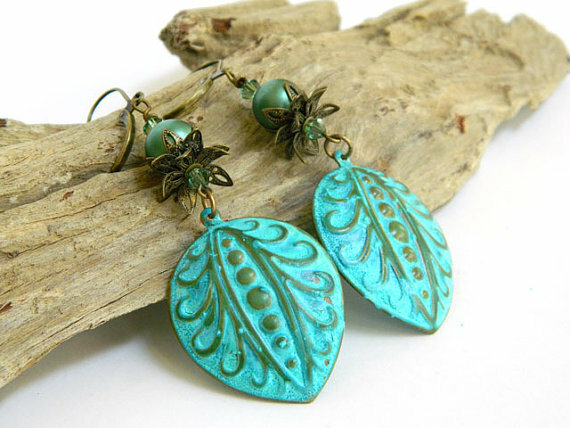 I always love Turquoise color and these amazing handmade products are really beautiful. 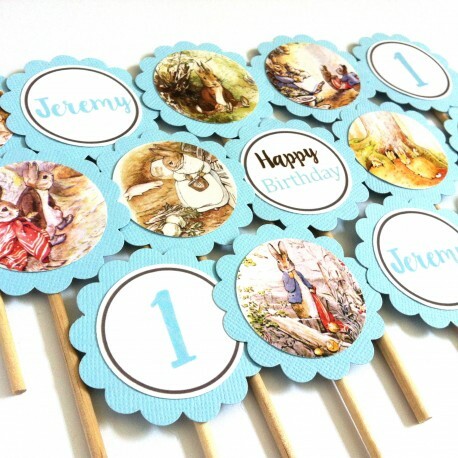 Thank you so much, Catherine, for including my Peter Rabbit cupcake toppers. Will share. Blu sends his pal, Seamus, lots of extra treats!